Posted on June 12, 2017 by Norwich Radical	in Arts, Perspectives and tagged art, artform, arts, Beauty and the Beast, Buzzfeed, casting, Catowman, cinema, comic, criticism, David Edelstein, director, Elektra, feminism, Gal Gadot, Hollywood, icon, Justice League, La La Land, lgbt, movie, pacifism, Patty Jenkins, review, romance, superhero, The Mary Sue, Vulture, warrior, women, Wonder Woman. Fear not fellow ladies of the ‘True Believer’ persuasion, for it is looking good. Amidst the star-studded Hollywood hype of the recently released Wonder Woman movie, the mounting reviews have been divided in consensus. Film-wise critics have been genial, to date the film has grossed over $300 million worldwide; an impressive feat considering feminist fears the film would flop. Long overdue, the film marks the first release of a female superhero titled film in the modern day comic Cinematic Universes, alongside it being the first in this genre to feature a female director (it’s 2017 people!) – understandably the pressure to succeed has been monumental. Famous female flops in the past such as Elektra (2005) and Catwoman (2004) have fueled fan-boy lore which suggests the fantasy that female-led films just do not excite audiences. This has been reflected in the reviews. 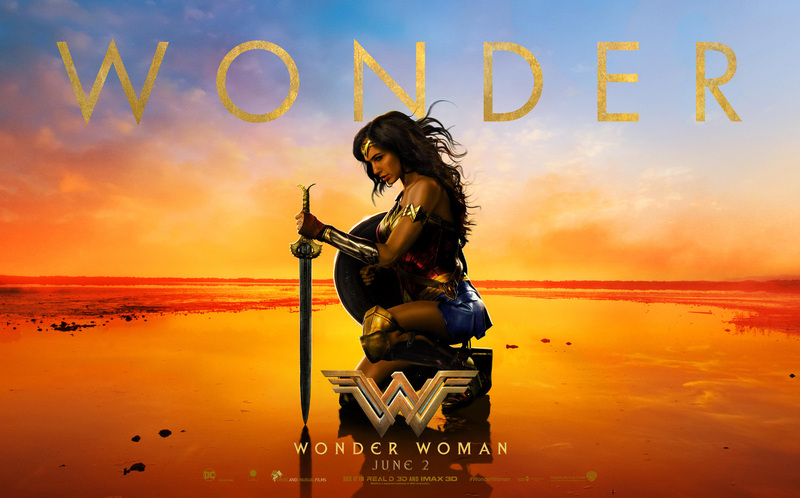 The run up to the movie left an internet cookie trail of listicles and debates daring to discuss the definitions of feminism and Wonder Woman – ‘if the film is a failure, is feminism also?’ Women everywhere, comic nerds and movie buffs alike, collectively braced at the perceived backlash of the film being slated. ‘If this one fails, will it be more of the same dudebros waxing lyrical about dead dads and distressed dames for the rest of our lives or until pop culture as we know it implodes from all the pent up testosterone?’ Fear not fellow ladies of the ‘True Believer’ persuasion, for it is looking good. Whether the film is good or not is open to debate. Like all artforms, your appreciation of it is subjective and best left to tireless forum tirades circling tidbits of tiny nerd detail. It doesn’t matter whether this film breaks the genre into iconicity or wins awards for being innovative. The conversations about the role of women in the Film (and more broadly the Arts) Industry that this film has engendered are the ones to matter. The frank discussions about the pressure to succeed amongst the film’s male-lead counterparts, and celebrating its successes in doing so, matter. And finally, the box office numbers matter; this determines if other female-led films will be made in the future. Unsurprisingly, however the tide of conversation since the film’s release from male-centric publications have altogether focused on Wonder Woman’s appearance and not the artistry in the scenes. A particularly gross review from David Edelstein writing for Vulture, serves to merely objectify our heroine, focusing on costume “strips” and the disappointment that she displays no “kinkiness”. Foreseeing the predictable bilge of clueless male reviews The Mary Sue even mockingly (with despair) featured an article listing them together. Reviews such as Edelstein’s are demeaning to the cultural conversation that this film is inspiring. A slash to the self-confidence of the film’s successes, these reviews debase the efforts of a film that is not just treading water in the deluge of male-centric films, but butterfly swimming past them. Again the film’s undeniable successes here are in the conversation and the ripples it’s caused in the cultural lexicon – Buzzfeed cites it as the most tweeted about film of 2017 (pushing past La La Land and Beauty and The Beast) – which in the modern day where social value reigns supreme via our screens, is a win to be savoured. The shadow she casts and the burden she bears is the ever-bright glare of the male gaze, too scared to see what she can lift. As the sole female identifying character in the Justice League, Wonder Woman has borne the brunt of defining women to comic readers for 76 years and has now taken the mantle to the big screens. She has been a symbol of Feminism, a Pacifist icon, a Justice League Secretary (complete with decade appropriate husband woes) and a LGBTQ icon. On her shoulders she bears the scrutiny of all that women are, whilst never being enough. As the most iconic female superhero, and for a long time one of the most visible, Wonder Woman has become a symbol to represent all women. Noble as that duty is, it is one that fumbles the picture as it paints away the diversity and nuances in the strokes. Becoming a representation of Feminism by sheer default of numbers is not good enough, we deserve to have varied representation to allow for a fair discussion. Regardless of the growing trend of female and queer identifying comics such as Squirrel Girl, Moon-Girl and Devil Dinosaur, Lumberjanes and the new Batgirl series, Wonder Woman still stands statuesque and imposing to the male-norm as she has always done – which is why it has become one of the most discussed releases this year. The shadow she casts and the burden she bears is the ever-bright glare of the male gaze, too scared to see what she can lift. Gather your friends, male, female and everything in between and beyond, and go see this film. The glorious fight scenes may make you cry (I’ll deny it to death) and the rare suggestion of romance might make you seethe – but most importantly, go be a part of the conversation. ← NINETIES SIT-COMS, LGBTQ+ FRIEND OR FOE?